SO YOU'RE REALLY GOING TO PUT ME ON THIS PANEL? 2017 has to be the year that my mind has been changed about conferences. When I wrote about the Women of Purpose Conference I was very straightforward with you all when saying it's really not my thing; hundreds of people, repetitive topics, and just overall not engaging for me. My learning style is typically more hands-on/ocular than it is auditory. Two out of the three conferences I have been to this year have been beyond amazing and surpassed my expectations. The Black Burdell School of Entrepreneurship Conference was no different. To give you some background The Black Burdell is a non-profit organization that promotes entrepreneurship in the Black community. They aim to assist with giving future and current entrepreneurs the resources and networks that they need to succeed. 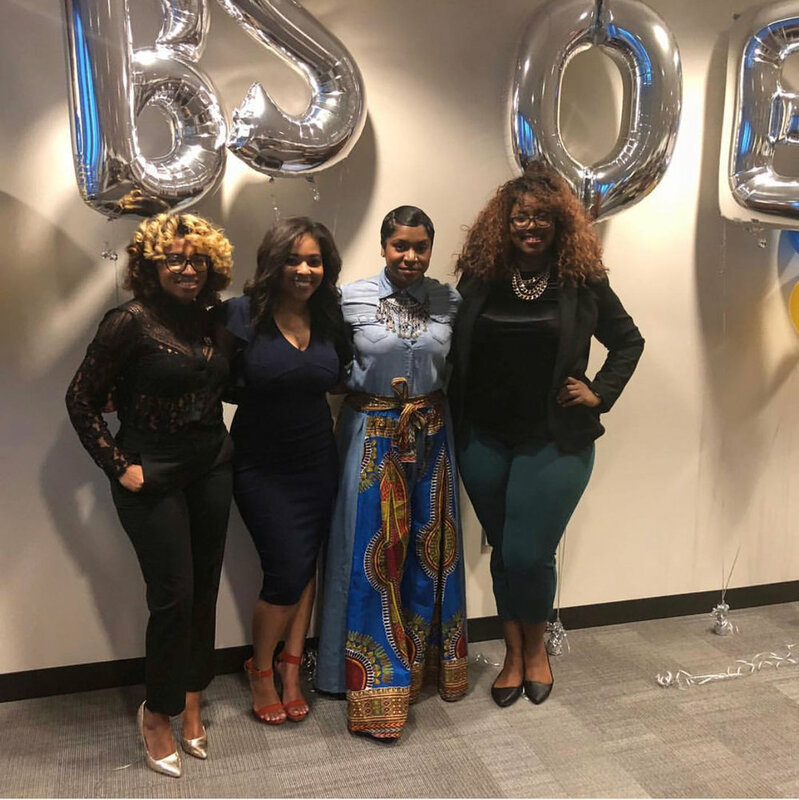 Seeing areas where they individually lacked in the knowledge and assets needed to start their own businesses Brandon Miller, Darren Sanders, and Henderson Johnson decided to take the opportunity to not only give back but to cultivate those around them. 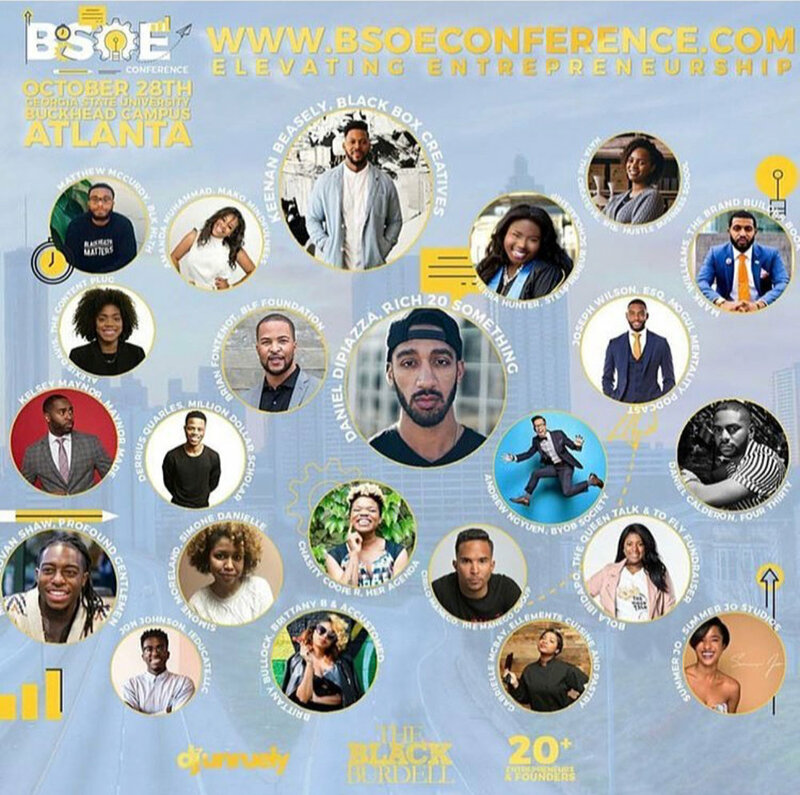 This was the second year for their conference that outlines a day of workshops and panels around different topics for high school students, current college attendees, and alumni entrepreneurs. Being that Brandon is one of my closest friends, when he tapped me on the shoulder to come I told him I hated conferences but supported what he did so I would be there. I also may or may not have been told I didn't have a choice but that is up for discussion later. A few days after booking my ticket Brandon was tapping my shoulder again asking if I could help with a panel. I obliged not knowing that it would mean I would end up on one. Although in my 9 to 5 I present almost every day initially I had no idea what the hell I was going to talk about, especially being on the social media panel. As a person, I don't think I am an influencer or even that knowledgeable about it. Taking it back again to the Woman of Purpose Conference Yvonne Orji and Stacy Ike both brought up that influence isn't about numbers but about impact. When I said God was sending me little notes during that conference He was preparing me for what was to come. Luckily a few of our Dallas friends were also flying out to attend and take part so my comfort level was increasing. We kicked off Friday with a mixer at one of Atlanta's new creative hub The Gathering Spot. The next morning some of us were definitely hurting, to say the least. The conference kicked off with an opening keynote from the creator of @dansnuggets and co-founder of Four Thirty Co. He also happened to be one of the people I was on the panel with. Although he's very accomplished career-wise ie working with huge companies such as Target and Amazon and launching high grossing business units, what I found more interesting was his story. Being put out of his home as a teenager, barely finishing high school, and then still going to college and graduating says a lot about his resilience as a person. He also loves the color black, pizza and Cardi B so we are basically friends at this point. The day was built on various breakout sessions that focused on each age segment and valuable information that we needed to know. From the art of public speaking to mental health in the Black Community to conversations mimicking Ted Talk style conversations the day was planned for some of the brightest minds to come out and connect. With my panel being in the afternoon and the last breakout session, my nerves came back. I was sitting next to Daniel who is just amazing and Mark Williams, author of The Brand Builder Book. Our panel was led by Kelsey Maynor of Maynor Made who I had previously met at Diner En Blanc In Dallas a few weeks before. Although I was quite unsure at first, our panel was organically flawless. We pulled our chairs in and had real conversations with people. We had a lot of influential people in the room that are doing amazing things. Gems and advice were dropping all in hopes of helping one another out. It was genuine. We closed out the day with a empower hour of advice and stories from budding entrepreneurs that shared their hard truths of how they got to the place they are at today. Although that was the end of the day, it wasn't the end of us. We have all decided to try our best to not only attend and participate next year but to also help raise money to sponsor a high school or college student. All of us wish we had someone to sit us down at that age and tell us what we know now. Hell I still need people to tell me these things. For more information and to make sure you are there next year, subscribe over at The Black Burdell.